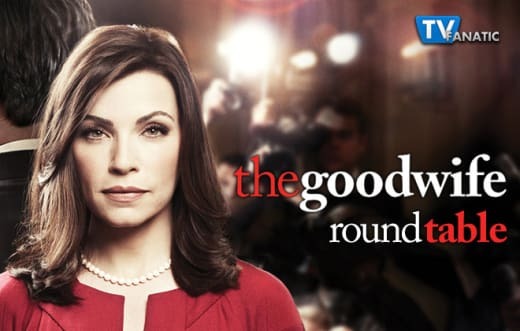 Alicia looked into Jason Crouse, Peter pushed to become President and Eli uncovered the truth behind the election scandal on The Good Wife Season 7 Episode 6. 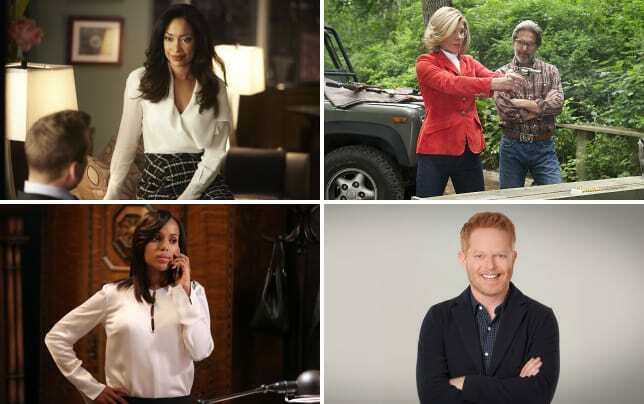 Below, TV Fanatics Carissa Pavlica, Elizabeth Harlow and Christine Orlando debate if Eli will share the truth with Alicia, whether or not Alicia wants to be First Lady and is Jason Crouse a sociopath after "Lies." Do you think Eli will tell Alicia that Peter was involved in her election scandal? Carissa: Considering the NSA connection, probably. That's how it will get leaked to them and put a nail in Peter's coffin. Looks like he's going down. Again. Elizabeth: I'm not sure, but I'm leaning towards no -- for now anyway. Telling Alicia would cause another major rift between the two, and if he really is supporting Peter (in his own twisted way), that would be self defeating. Down the road, I could see this coming back into play. Christine: I think Eli will tell her or at least make sure she finds out. My hope is that Eli and Alicia team up to take Peter down. At this point, he deserves it. Does Alicia want to be First Lady? Carissa: I didn't think so, but when she was standing on stage and mentioned she was burning up, it was with excitement, so maybe the idea of that happening really takes hold and you can't help yourself. It seems like she does. Elizabeth: I'm not sure about this one either! She doesn't like to appreciate the demands on her time, but I do think she's attracted to the power that role would give to her. Christine: It’s so hard to tell. I don’t think she’d appreciate the spotlight but she does appear to enjoy the power that would come with it. I guess it comes down to whether or not she’s willing to live a lie with Peter to have that kind of power and prestige. Is Jason Crouse a sociopath? Carissa: My initial reaction is no. He's just misunderstood. But then I look back at my personal history with men and those to whom I am attracted, and I say, Carissa, get a grip. You are attracted to first rate, no kidding around, Grade A sociopaths. You are attracted to the character of Jason Crouse. Jason Crouse is a sociopath. Voila. Mathematical genius here. Elizabeth: Based on his behavior in the last episode, no. His behavior with the student was too altruistic for him to qualify -- there was no personal benefit to motivate a 8 or 9 hour round trip drive to Michigan. Christine: Well, he probably got paid for that drive. I’m unsure of Jason. I had red flags going up the moment he appeared, but unlike Carissa I’m usually pretty cautious. Something seems off with him. Is he just a decent guy with a temper who is misunderstood or an actual sociopath. I guess time will tell. Are you happy that the NSA is monitoring Alicia once again? Carissa: I couldn't be more unhappy if I could take a goat and shove their cute little feet up both of those idiots' arses. Honestly. I just can't. Elizabeth: Well, that's a tricky one! On the one hand, the over reach and impropriety of the NSA is appalling, but then the employees are so hilarious. Any excuse to have Michael Urie in screen. Christine: I simply don’t care about the NSA and I find this part of the story tedious. I was hoping we were done with it all after The Good Wife Season 6. Was there anything in “Lies” that disappointed you? Carissa: I'm excited Lockhart Agos, whatever the heck their firm is called now, got called onto the carpet for their discrimination case, but I'm sad that everyone was so pathetically stupid. Cary and Diane, you deserve Howard on your team and you deserve the Chum-Hum video. For shame on you all. I'm also not liking the direction they're moving with Alicia's drinking. I've never seen her drunk yet, but I know they're going to that place, and it annoys me. Elizabeth: I really can't think of anything. Maybe that the judge wasn't one of the regular recurring officers of the court? Christine: Why is everyone at Lockhart, Agos, and Lee so clueless. Maybe things always look better in 20/20 hindsight but I don’t think Will ever came across as so elitist or entitled. Carissa: Seeing Alicia under the blanket talking on the phone was funny. Would you have actually done that, even if it was in the instructions? I sure wouldn't have. Elizabeth: I'm calling it a tie between the margarita scene and the NSA guys and their goats. I always love Alicia and Eli together, especially when there is a scheme afoot. And I just love those goat videos! The way the NSA scenes balance a serious and disturbing subject with humor embody what I love about the show. Christine: Finally finding out that Peter was involved with the election scandal and really did hang Alicia out to dry. I had always suspected as much. It was good to have it confirmed. 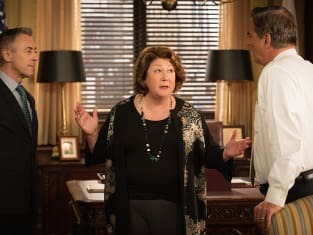 Check back on Sunday night for our review of The Good Wife Season 7 Episode 7 and if you can't wait for more, you can watch The Good Wife online here at TV Fanatic.